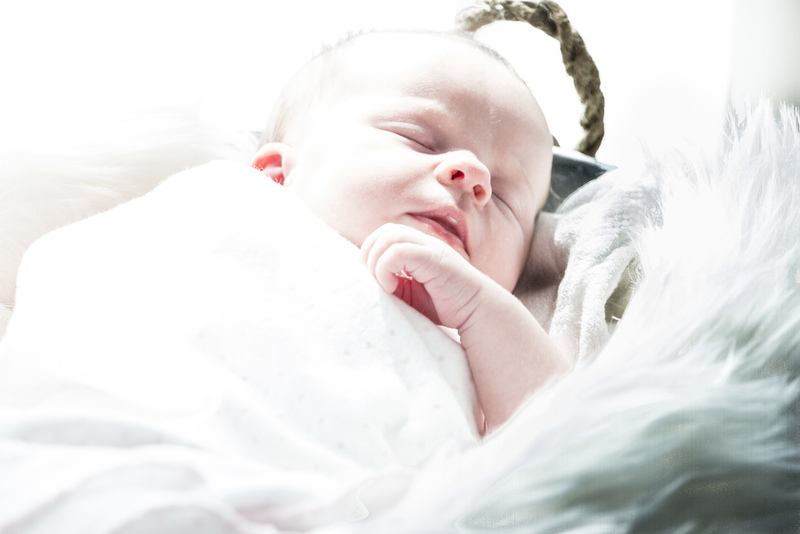 Eleanor's newborn photo shoot posed challenges to her father/photographer. When I meet someone new, they often ask, "So what do you do?" And more often than not, my response is not "I am a photographer," but rather, "I am a dad." Of course, being a dad and photographer means there's some pressure to take great family photos, but it's the kind of stress I wouldn't trade for the world. I'm happy to say that my recent hiatus from the blog is a result of the enormous change brought about by the birth of my daughter, Eleanor Lynn, who is now nine weeks old and hamming it up her precious baby smiles. Sleep and free time have been in short supply for the past few months, but it is, of course, the best kind of change a family can experience. Our 3-year-old son, Grayson, has taken to his role as big brother and, as we figure out our new routines, he's been a champ (with, of course, the occasional tantrum). Among the many things I looked forward to during my wife's pregnancy was the chance to step into the world of newborn photography. We knew for months that we were going to try to do our newborn photos ourselves, and my wife did a wonderful job of selecting some great props with awesome colors and textures to include in the photoshoot. I devoured tips online about how to achieve the best baby photos and I couldn't wait to put them to use. 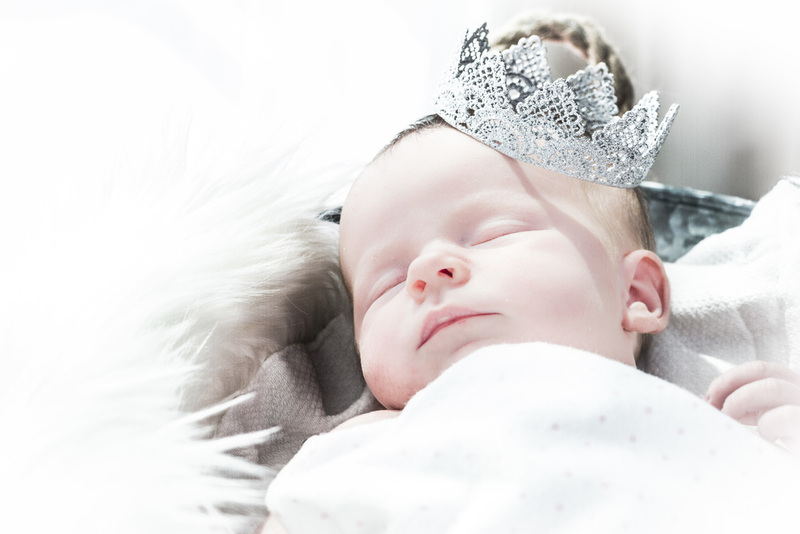 I learned, for instance, that it is best to do a photo session within the first two weeks of life, when the child is mostly asleep and can be manipulated into cute poses more easily. "This will be a snap," I thought to myself, rather naively. We quickly found that working with very little sleep of our own, and an infant that really prefers to be held and clothed, made capturing the iconic newborn shots I envisioned much more difficult than I imagined. When you see the amazing shots of your friends children posted on social media, they don't tell you there will be tears and urine and lots of cleaning to be done. Putting Eleanor on her tummy often resulted in a smooshed face, or kicking feet. Taking her clothes off for the classic naked baby shot resulted in frequent urination and occasional crying. And let's not talk about the other bodily fluids that may or may not have adorned the walls and furniture of our home. We tried three separate photo sessions, and I'd like to think I learned lessons from each. Finally, by the third session, thanks to my wife's endless patience and the cooperation of our little one, we finally got some shots I was proud of. And I certainly gained an appreciation for the challenges faced by those who choose to make babies their full-time job — in the studio or in everyday life.